Troubles Of Movie Maker In Windows 7 ! Windows 7 operating system doesn’t include a tool for editing the movies. But, it is moved to the Windows Live Essentials package including Photo Gallery, Mail and Messenger. 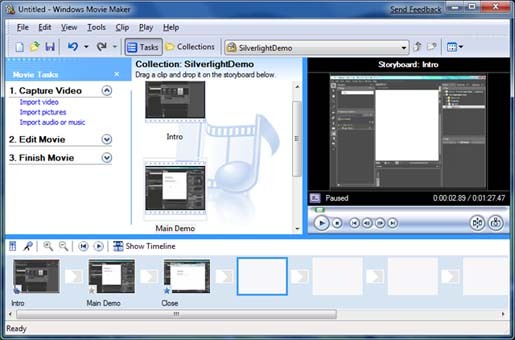 As the version of Windows Live Movie Maker is still an early beta, it is missing most of the old feature set that lets Windows lover feel guilty. Now Windows is reworking the applications to satisfy the users of Windows. Therefore, you can get a better solution. In the mean time, you can use early adopters to use Windows Movie Maker 2.6, which is essentially the same as the most recent update to Windows XP version. It’s missing the full set of effects and transitions from the Windows Vista version, and doesn’t support HD editing, but it’s pretty functional for the typical usage scenario of home movie editing.